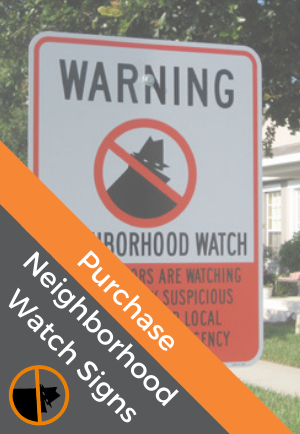 An well-designed Neighborhood Watch newsletter is a powerful communication tool. Think about the last time you sifted through a pile of mail. Chances are you tossed aside the glitzy fashion magazines, grabbed the latest issue of your college alumni newsletter, and found yourself a cozy armchair. That simple bulletin might lack glamour, but it is the medium that unites you with others who share a common thread—your community. According to the Neighborhood Watch Implementation Manual , “Communication with Watch members is crucial to the success of the program,” and a newsletter is an excellent way of sharing crime prevention information with fellow volunteers, law enforcement personnel, and others who share a dedication to the community. More than half of all Neighborhood Watch groups surveyed by the National Sheriffs' Association publish a newsletter. Whether you're an experienced editor or exploring the idea of starting your first publication, this article will guide you through the critical first steps of newsletter planning. The next rule of good journalism is to know your audience. Lumping readers into broad categories such as “Anytown Association members” doesn't provide the details needed to create a publication with broad appeal. Instead, reader demographics such as age, income, and education levels should play a large role in determining style and editorial content. Equally important to understand are the psychographic characteristics of your readers. Psychographics refers to less readily quantifiable attributes such as opinion, interests, and values. For instance, which do your readers fear more? Gang violence or identity theft? Are they more interested in disaster preparedness training or neighborhood beautification? The Internet and email are excellent vehicles for sharing information quickly and inexpensively. With constant hikes in postage and production costs, it is tempting to make the switch from a hard copy to an email- or web-based publication in an effort to save money. However, before committing, it is important to consider the implications of change for your Watch group and its members. Years ago, when “spam” referred only to lunch meat, the phrase “You've got mail” often meant a long letter from mom. Nowadays, our inboxes are more often crammed with advertisements, bank statements, and taskers than personal mail. To manage inbox overflow, many computer users routinely delete or rely on software to block unsolicited emails. You should, therefore, ask members if they wish to receive the newsletter electronically. Also, be sure to alert these members before sending the first issue so that they may set “spam” filters to permit access. Many organizations find that switching to online media frees up staff time that would otherwise be spent stuffing envelopes and licking stamps. Nevertheless, electronic publishing presents a new set of challenges. According to web communications consultant and President of Four Square Media Lynda Rathbone, it is important to evaluate your software needs carefully: “Consider getting software to manage newsletter content so that contributors from various locations can input text into the document without having to know any web programming code. Most of these systems offer workflow so that your editor can manage and approve all the changes.” Rathbone also recommends software that allows readers to subscribe and unsubscribe by email or really simple syndication (RSS). Such programs also let you notify readers when content is updated. Time is a major constraint for many nonprofit organizations. Before designing an elaborate website, ensure that your staff can dedicate the time needed to keep the site current. Visitors who are greeted with “under construction” messages each time they click on links will soon become frustrated. Likewise, if your homepage's top feature is an announcement for an event that occurred last year, visitors will assume the site is outdated or abandoned and are unlikely to return. Still not sure whether print or electronic media makes better sense for your organization? Neighborhood Watch groups with a diverse membership may find that a hybrid print-electronic publication works best. Offering readers a choice of formats helps to ensure that your message is seen by as many people as possible. The Columbia , Missouri , Neighborhood Watch Program is a good example of an organization that has phased in such an approach. For 20 years, the group has produced Crime News , which is distributed to 2,500 area homes. Recently, the Program board voted to switch from a print to an online publication, accessible via the police department's website. Announcement of the change appeared in the last printed issue (January 2008), and the group provided readers without Internet access information on how to continue receiving the publication. To view Crime News , visit www.gocolumbiamo.com/Police/Programs/neighwatch.php. Regardless of whether your publication appears in print or online, quality is a must. “A newsletter is a tangible symbol to members on an organization's level of professionalism,” said graphic design consultant Gregory Byerly, “It must look great, and the design must reflect on the organization in a positive light.” Working with a designer to create a template, or purchasing professional design software (e.g., Quark XPress, Adobe InDesign) can help you create a polished publication. Organizations without funds to invest in high-end software may find that programs such as Microsoft Publisher fulfill their in-house production needs. Also remember to take inventory of your staff's talents. The Washington County, Oregon, Neighborhood Watch Program staff made good use of the talents of the county's graphic designer to create a border (illustrated here) that gives its newsletter a distinct look. “Our crime prevention staff take their own cameras to events so that they can capture the true nature of their job. Our hope is that we can show the citizens of Washington County that law enforcement has another side; we are not hard, uncaring, and unapproachable,” explained editor Christine Rouches. The Washington, County, Oregon , Neighborhood Watch Program newsletter features a distinctive, well-designed masthead and border. This publication appears on the Washington County Sheriff's Office website. Plagiarism is bad—something on which every kid who has gotten a big, fat “F” for peeking at a classmate's paper will agree! Most adult professionals would never willingly use another author's work in an illegal manner. However, today's technology makes it so easy to cut and paste and transmit text, photographs, and artwork that it is easy to forget that copyright laws still apply. In a nutshell, if you would like to reproduce an article or artwork that you did not create, be sure to ask the author's permission, preferably in writing. All published and unpublished works “fixed in a tangible form of expression” are the property of the author (or organization that commissioned the work if it was “made for hire”) and may not be reproduced without the author's permission. In fact, the copyright symbol—©—is not even required for protection to apply. Fair use laws allow writers to quote small portions of texts without permission. (To learn more about fair use, visit http://www.copyright.gov/fls/fl102.html.) A good style manual such as Diane Hacker's A Writer's Reference or the Chicago Manual of Style will include guidelines for properly citing other authors' works. Whether you don't know a .gif from a .jpeg or you're an Adobe whiz kid, it is always helpful to have a good reference library. The following resources will provide publishers with valuable information on newsletter content, design, and dissemination. All are available from local bookstore and online vendors such as Amazon.com. Pocket Pal is an indispensable guide to design and printing. Photo credit: International Paper © 2007. 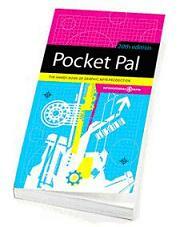 Pocket Pal, published by International Paper Company, is the Bible of graphic design. Now in its twentieth edition, this guide introduces the reader to the design, prepress, and print production processes. It also includes a list of graphic arts terms useful when communicating with designers and printers. Published in 2007, Every Nonprofit's Guide to Publishing: Creating Newsletters, Magazines, & Websites People Will Read instructs cost-minded organizations how to produce a publication that will grab attention. Authors Cheryl Woodard and Lucia Hwang cover the various administrative and managerial aspects of publishing, from enforcing editorial deadlines to finding a printer to postal regulations for advertising content. Also included is a chapter on producing a website. Fundamentals of Successful Newsletters: Everything You Need to Write, Design, and Publish More Effective Newsletters by Thomas H. Bivins is an excellent resource for learning the basic principles of layout, design, and typography. Readers will want to find another source for information on desktop publishing; however, as computer technology has changed since Fundamentals was published in 1993.